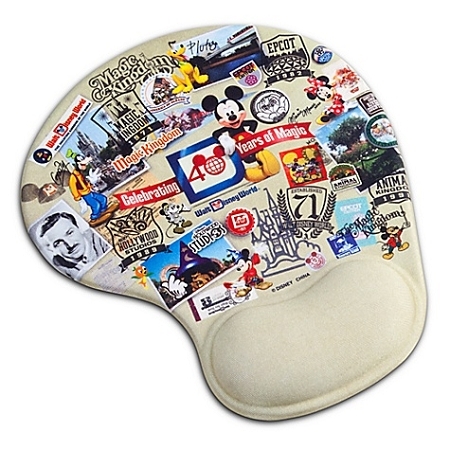 Type on your keypad in total comfort with our ''40 Years of Magic'' mousepad with attached wrist rest. While you work at the computer, count down the days to your next Walt Disney World vacation with a collage of classic resort images. Please Note: All information is subject to change including but not limited to artwork, release dates, edition sizes and retail prices.